BUFFALO GROVE, COUNTRYSIDE, LINCOLNSHIRE AND WHEELING FIREFIGHTERS ARE WORKING ON MULTIPLE BRUSH FIRES ALONG THE CANADIAN NATIONAL RAILROAD NORTH AND SOUTH OF THE AREA NEAR DUNDEE ROAD AND WHEELING ROAD. TRAINS ARE STOPPED ON THE METRA NORTH CENTRAL SERVICE AND CANADIAN NATIONAL LINE. ONE VICTIM EXTRICATED BY ABOUT 11:02 AM. ONCE KILLED -- AT LEAST TWO OTHER PEOPLE TRANSPORTED, AND POSSIBLY ANOTHER TWO EVALUATED AT THE SCENE BY PARAMEDICS. INTERSECTION CLOSED FOR EXTENDED PERIOD FOR ACCIDENT INVESTIGATION. POLICE ON SCENE REPORT A VICTIM WITH SMOKE INHALATION. E2 ON ARRIVAL REPORTS SMOKE SHOWING. FIRE ON THE SECOND FLOOR. SEARCHES UNDERWAY AT 6:39 AM. GENERAL ALARM STRUCK OUT AT ABOUT 6:43 AM. COMPANIES STILL RESPONDING HELD UP. STATE OF ILLINOIS FIRE MARSHAL CALLED ON THE SCENE. E76 CREW ON ARRIVAL REPORTS THEY HAVE A FIRE. BC7 REPORTS A 1.5-STORY FRAME, 20X50 WITH A FIRE ON SIDE C. AERIAL TO THE ROOF, ONE LED OUT, AND A LADDER IN SECTOR 1. BC7 REPORTS SEARCHES NEGATIVE, VENTILATING THE ROOF, FIRE IS UNDER CONTROL AT 8:18 AM. E123 CREW ON ARRIVAL REPORTS SMOKE SHOWING. BC19 REPORTS 20X40, 1.5-STORY FRAME WITH AN ELECTRICAL FIRE IN THE WALLS ON THE FIRST FLOOR OF AN UNOCCUPIED BUILDING. COMPANIES OPENING UP THE WALLS AT ABOUT 2:51 PM. PRIMARY SEARCH COMPLETE AND NEGATIVE AT ABOUT 2:51 PM. FIRE IS UNDER CONTROL. WE'RE NOT OPENING UP THE ROOF. HOLDING UP THE WORKING FIRE RESPONSE AT ABOUT 2:52 PM. MABAS DIVISION 10 BOX ALARM ON BOX #13-1 FOR A HOUSE FIRE. BC REPORTS THE GAS COMPANY IS ON THE SCENE TRYING TO LOCATE A ROTTEN EGG SMELL AT KENNEDY HIGH SCHOOL BASEMENT, 100X600. COMPANIES MASKED UP. BC16 IN COMMAND REPORTS THAT THE AREA HAS BEEN METERED AND SHOWS ZERO. LOCATED A SMALL BATTERY AS THE APPARENT SOURCE OF THE ODOR. E115 CREW ON ARRIVAL REPORTS A 1.5-STORY ORDINARY WITH SMOKE SHOWING. WE HAVE A FIRE. REPORT OF A BURN VICTIM OUTSIDE THE BUILDING WITH A BURN TO THE HAND. BC22 REPORTS THE FIRE IS OUT, SEARCHES COMPLETE AT ABOUT 1:26 PM. WASHING DOWN AT 1:29 PM. SQD NO SQUAD ATT THEN SQD5 ASSIGNED CV? MABAS DIVISION 12 BOX ALARM ON BOX #? FOR A CHEMICAL LEAK POSSIBLE CHLORINE LEAK AT "WOOD DALE INDUSTRIAL" AT 1:01 PM. COMPANY NAME POSSIBLY MASTERS COMPANY, INC (NOT CONFIRMED). 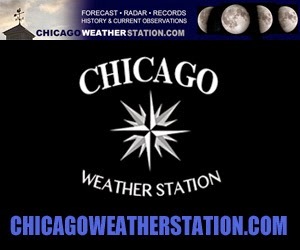 WIND: VARIABLE 5 MPH (ChicagoWeatherStation.com Chicago Weather O'Hare Data March 30 2014). REPORT OF A VEHICLE FIRE WITH INJURIES. NO VEHICLE FIRE, BUT A83 CREW ON ARRIVAL REPORTS ONE-VEHICLE CRASH WITH MULTIPLE INJURIES. ONE PERSON TRAPPED IN VAN, AND ONE PERSON INJURED ON THE GROUND. NB ROUTE 53 BLOCKED BY PALATINE POLICE FOR POSSIBLE EJECTIONS. NO EJECTED VICTIMS FOUND. EXTRICATION COMPLETED. BOTH VICTIMS TRANSPORTED TO LEVEL I TRAUMA CENTER ADVOCATE LUTHERAN GENERAL HOSPITAL, PARK RIDGE. TOTAL TWO CRASH VICTIMS TRANSPORTED. CRASH WITH INJURIES AND FATALITY ON SOUTHBOUND EDENS NORTH OF THE WESTBOUND TOUHY EXIT RAMP. DIFFICULT EXTRICATION WITH FATAL VICTIM "TOTALLY ENTRAPPED" IN VEHICLE. EXTRICATION VEHICLE WAS NEAR LECLAIRE AVE AND FRONTAGE RD ON WEST SIDE OF EDENS. THE OTHER VEHICLE WAS CLOSER TO THE WESTBOUND TOUHY EXIT ON SB EDENS EXPRESSWAY. ONE LINE OFF TL18 FOR STANDBY FOR EXTRICATION. OFFENDING DRIVER MAY HAVE BEEN TRANSPORTED TO ST. FRANCIS HOSPITAL IN A PERSONAL VEHICLE WITH EARLY REPORT THAT THE OFFENDING HIGH-SPEED DRIVER GOT IN ANOTHER VEHICLE WHICH FLED THE SCENE SOUTHBOUND ON THE EDENS EXPRESSWAY -- NOT YET CONFIRMED BY POLICE. SB EDENS CLOSED FOR RESCUE AND ACCIDENT INVESTIGATION OVERNIGHT. TWO-VEHICLE CRASH WITH INJURIES AND ONE FATALITY ON MIDLOTHIAN RD, JUST SOUTH OF WORTHAM DR. MUNDELEIN RESIDENT BRIAN MARTIN, AGE 49, WAS TRANSPORTED TO LEVEL I TRAUMA CENTER ADVOCATE CONDELL MEDICAL CENTER WHERE HE WAS PRONOUNCED DEAD AT ABOUT 5:00 P.M.
MARTIN WAS DRIVING A 4-DOOR SEDAN, WHICH CRASHED WITH A BMW SUV. A FEMALE, AGE 40, A FEMALE, AGE 30; AND A FEMALE, AGE 3, SUFFERED NON-LIFE-THREATENING INJURIES AND WERE TRANSPORTED TO LEVEL I TRAUMA CENTER ADVOCATE CONDELL MEDICAL CENTER. MUNDELEIN FIREFIGHTER/PARAMEDICS ALSO RESPONDED TO THE CRASH. MIDLOTHIAN RD WAS CLOSED BETWEEN ROUTE 83 AND COUNTRYSIDE LAKE DR AT LEAST UNTIL 8:00 P.M. DURING AN ACCIDENT INVESTIGATION. Road closure indicated by Google Traffic Map layer at 7:30 PM Saturday, March 29, 2014. TYPE II POWER OUTAGE RESPONSE FOR APARTMENT COMPLEX WITH OVER 3,000 WITHOUT POWER. APPARENTLY NO FUNCTIONING BACK UP GENERATOR. STREET LIGHTS, TRAFFIC SIGNALS ALSO OUT IN THE AREA. FIVE BUILDINGS WITHOUT POWER. MULTIPLE ELEVATOR RESCUES FOR T9. COM ED ON THE SCENE BY 8:55 PM. PROBLEM ISOLATED TO A POWER LINE PROBLEM. NOTHING REPORTED ON COM ED OUTAGE MAP AS OF 8:52 PM. E93 CREW ON ARRIVAL REPORTS A FIRE IN A 1.5-STORY FRAME. AUTO INTO THE REAR OF THE HOUSE THAT CAUSED A FIRE. CHECKING FOR EXTENSION. TECHNICAL RESCUE FOR A TEEN THAT FELL 25 FEET INTO AN AIR VENT SHAFT AT FLOSSMOOR LIBRARY. UNSECURED GRATE AT GROUND LEVEL GAVE WAY AND TEEN FELL INTO CONCRETE SHAFT. MALE TEEN TRANSPORTED TO LEVEL I TRAUMA CENTER ADVOCATE CHRIST MEDICAL CENTER. 930 ON ARRIVAL REPORT A TWO-VEHICLE CRASH WITH INJURIES. CREW ON ARRIVAL REPORTS TWO CRITICALLY INJURED, AND OTHER VICTIMS WITH MINOR INJURIES. EXTENDED PIN-IN OPERATION. FLIGHT FOR LIFE REQUESTED AT 4:51 PM. SECOND FLIGHT FOR LIFE HELICOPTER REQUESTED AT 4:54 PM. LANDING ZONE "KREUTZER AND DUNDEE" AT FIELD NEXT TO THE ACCIDENT. FIRST FLIGHT ON THE GROUND AT 5:04 PM. ROADWAY/INTERSECTION BLOCKED FOR AN EXTENDED PERIOD. CAR IN WETLANDS WITH OCCUPANTS IN VEHICLE. FEMALE, AGE 53, AND FEMALE, AGE 3 RESCUED. DRIVER SWERVED TO AVOID A DEER, AND ENDED UP SUBMERGED IN WATER. TWO FEET OF WATER INSIDE TOYOTA COROLLA. NO HOSPITAL TRANSPORT. BARRINGTON HILLS, PALATINE, INVERNESS, BARRINGTON POLICE ON SCENE. E30 CREW ON ARRIVAL REPORTS NOTHING SHOWING FROM A 2-STORY ORDINARY. BC3 REPORTS A 3-STORY ORDINARY WITH A LITTLE FIRE IN THE COCKLOFT AREA FROM SOME WORKERS DOING SOME WORK UP THERE. LADDERED THE ROOF, ONE LINE ON THE FIRE. PRIMARY AND SECONDARY SEARCHES COMPLETE AND NEGATIVE, AND WASHING DOWN BY 2:46 PM. ALL COMPANIES PICKING UP BY 3:12 PM. E35 ON ARRIVAL REPORTS ROLLOVER TRUCK CRASH UNDER THE UNION PACIFIC RAILROAD BRIDGE . NO DEBRIS ABOVE THE BRIDGE. DEBRIS IS BELOW THE BRIDGE. BC12 REPORTS ALL FUEL HAS BEEN SHUT DOWN AND THE TRAILER IS EMPTY. REPORT OF A CRASH WITH A FIRE ON THE INBOUND IKE AT DAMEN. E26 CREW ON ARRIVAL REPORTS THEY HAVE A FIRE. THE INCIDENT IS EASTBOUND, WEST OF DAMEN AVE. E26 HAS A LINE ON THE FIRE, AND THE VICTIM IS OUT OF THE CAR. ROMEOVILLE AND GRUNDY COUNTY INVESTIGATORS DUE. MABAS DIVISION 4 BOX ALARM ON BOX #22-13 FOR A STRUCTURE FIRE. MABAS DIVISION 21 BOX ALARM ON BOX # FOR A STRUCTURE FIRE (APARTMENT BUILDING) ON ORDERS OF BC40. ALL CREW WORKING, GETTING A GOOD KNOCK ON THE FIRE AND CHECKING FOR EXTENSION BY ABOUT 10:31 AM. HAZMAT LEVEL 3 RESPONSE FOR AN ACID SPILL IN THE BACK BY THE POOL AREA. REPORT OF 50-100 GALLONS OF ACID SPILLED BY THE PUMP AREA. SPECIAL: SOUTH ELGIN HAZMAT TRUCK 22 (TRAILER). TRENCH RESCUE RESPONSE FOR A REPORT OF A BRIDGE OPERATOR THAT FELL IN A HOLE AT THE UPPER LEVEL OF WACKER DRIVE. CREW ON ARRIVAL REPORTS BC1 REQUESTS A WATER RESCUE. VICTIM IS BEING PACKAGED FOR TRANSPORT; ABOUT TO TRANSFER TO AMBULANCE AT 11:39 AM. TRAFFIC CONTROL NEEDED ON WACKER. INCIDENT SECURED AT ABOUT 11:41 AM. SQD2 HELD UP. EMS: A11 FC? STANDBY AMB? E96 CREW ON ARRIVAL REPORTS FIRE THROUGHOUT SECTOR 4 FULLY-INVOLVED. BC13 REPORTS A 25X50 WITH A FIRE IN SECTOR 3. TWO LINES ON THE FIRE, LADDER UP. POWER LINES DOWN; NEED COM ED. SECOND ENGINE AT THE FRONT. FIRST ENGINE IS TAKING THE ALLEY. ANIMAL CONTROL REQUESTED FOR A PIT BULL ON THE SCENE. 1.5-STORY FRAME MAINLY EXTINGUISHED BY ABOUT 10:09 AM. PRIMARY SEARCH NEGATIVE. STAGING: T13 EMERGENCY CHANGE TO T35. TL23 EMERGENCY CHANGE. NORWOOD PARK A106 TRANSPORTED VICTIM TO RESURRECTION MEDICAL CENTER. ALSO REPORTED AS MONTROSE AND NATCHEZ. INCIDENT LOCATED NEAR WILBUR WRIGHT COLLEGE, 4300 N NARRAGANSETT AVE.
HARWOOD HEIGHTS POLICE AND CHICAGO POLICE ON THE SCENE WITH TRAFFIC CONTROL. STREETS BLOCKED IN THE AREA. CHICAGO MAJOR ACCIDENT UNIT INVESTIGATING. REPORT OF A BEDROOM FIRE. CREW ON ARRIVAL REPORTS NOTHING SHOWING FROM THE FRONT. FIRE KNOCKED AT ABOUT 6:45 PM. GLENSIDE ENGINE 58 AUTO AID. FULL STILL ALARM AT BERNARDIN MANOR SENIOR CITIZEN HOUSING CENTER. LARGE 300X400 H-SHAPED BUILDING. STRUCK OUT AT ABOUT 2:46 PM. CREW ON ARRIVAL REPORTS A WORKING FIRE. BC6 ON ARRIVAL REPORTS PEDESTRIAN HIT BY A FREIGHT TRAIN NEAR MACK RD AND MANCHESTER LN OR ABOUT ONE-HALF MILE SOUTH OF WILSON ST.
FIRE DEPARTMENT ACTIVITY IS ALSO LOCATED NEAR WILSON AND JOLIET, WILLOW LN AND PENNY LN, AND MACK RD AND MANCHESTER LN. WINFIELD AND/OR WARRENVILLE ALSO RESPONDED BUT WERE HELD UP. LOCATION IS EAST NORTHEAST OF FERMILAB AND WEST OF MAPLE HILL SUBDIVISION AND NORTHWEST OR BLACKWELL COUNTY FOREST PRESERVE. HEADER SHOWING BEFORE ARRIVAL. CREW ON ARRIVAL REPORTS A WORKING FIRE. WORKING FIRE FOR A DETACHED GARAGE IN THE REAR. REPORT OF SMOKE AND FLAMES VISIBLE IN THE BATHROOM. BC6 ON ARRIVAL REPORT SMOKE SHOWING FROM THE SMOKE STACK/ROOF VENTS ON THE ROOF OF A TWO-STORY MULTI-FAMILY UNIT. INTERIOR CREW REPORTS A LOT OF SMOKE -- PULLING CEILING. FIRE IN THE WALL. TWO LINES ON THE FIRE. SECOND LINE FOR THE SECOND FLOOR FROM E24. UPGRADED TO A CODE 4 AT 11:36 AM. FIRE UNDER CONTROL AT 11:41 AM. CHANGE OF QUARTERS: ELK GROVE VILLAGE E10, ELGIN E1, HANOVER PARK MEDIC381, PALATINE E84. PALATINE RURAL NOT AVAILABLE BECAUSE IT CROSS-MANNED AS TENDER. ROLLOVER CRASH WITH INJURIES FROM NB I-294 INTO THE VALLEY BY SHAFER CT NORTH OF HIGGINS RD. ONE VEHICLE ON THE TOLLWAY AND ONE VEHICLE DOWN NEAR SHAFER CT.
T158 GOING TO SHAFER CT AND "LADDERING" THE EXPRESSWAY. "ALL AVAILABLE EQUIPMENT" (NOT ALL LISTED). ALL TEAM MEMBERS AND MATTESON INVESTIGATION VAN TO THE SCENE. REPORT OF A HOUSE EXPLOSION. NORTHWEST CORNER OF OF NEW LENOX IS PROTECTED BY JOLIET FPD. UNKNOWN IF NEW LENOX IS ON SCENE. PROPANE TORCH EXPLODED WHILE PLUMBERS WERE WORKING IN A BASEMENT. THE EXPLOSION AND RESULTING FIRE CAUSED MINOR BURNS TO TWO PLUMBERS. BOTH VICTIMS WERE TRANSPORTED TO SHERMAN HOSPITAL. THERE WAS A MINOR FIRE IN THE BASEMENT WHICH WAS IMMEDIATELY EXTINGUISHED BY FIREFIGHTERS. MABAS DIVISION 4 BOX ALARM ON BOX #24-71 FOR A GRASS FIRE. CAR CRASH INTO CEMENT WALL IN ON 127TH ST AT THE NORTHWEST CORNER OF 127TH ST AND WINCHESTER AVE, CALUMET PARK/BLUE ISLAND. AREA WAS SHUT DOWN EARLY MORNING HOURS FOR PROLONGED ACCIDENT INVESTIGATION. E32 CREW ON ARRIVAL REPORTS NOTHING SHOWING. BC REPORTS 1-STORY ORDINARY, 20X40 WITH A FIRE ON THE FIRST FLOOR AND A LINE LED OUT. PRIMARY SEARCH COMPLETE. FIRE IS UNDER CONTROL AT ABOUT 7:02 AM -- HOLDING UP THE RIT RESPONSE. E63 CREW ON ARRIVAL REPORTS A FIRE IN A ROW HOUSE -- 2-STORY. BC23 REPORTS A TWO-STORY ROW HOUSE 25X50 WITH FIRE ON THE FIRST FLOOR. BC REPORTS MAIN BODY OF FIRE EXTINGUISHED AT 4:15 AM. SQD VAN HELD UP. EMS: A58 FC458 STANDBY AMB? E122 ON ARRIVAL REPORTS A CRASH WITH A CAR FIRE AT ABOUT 90TH ST. A CAR HIT THE CENTER BARRIER ROLLED OVER ONTO THE THIRD RAIL, AND THEN THE FENCE AND/OR VEHICLE WAS HIT BY A CTA TRAIN. THE VEHICLE THEN CAUGHT FIRE. SECONDARY HOLD ON THE TRACKS. CAR IS UPSIDE DOWN NEAR TRACKS AND WITH DEBRIS ON TRACKS. BC18 REQUESTS A SECOND AMBULANCE AT 6:13 AM. FIRE IS EXTINGUISHED AT ABOUT 6:15 AM WITH A PERSON INSIDE -- WORKING ON EXTRICATION. A24 TRANSPORTED ONE VICTIM CODE YELLOW TO ROSELAND. EMS PLAN 1 ON ORDERS OF BC6 AT THE MAIN PLATFORM OF THE CTA BLUE LINE AT O'HARE. STILL AND BOX ON ORDERS OF BC6 FOR THE TRAIN DERAILMENT AT 3:03 AM. BC6 ON ARRIVAL REPORTS A CTA TRAIN DERAILED AND RAN INTO THE PLATFORM. EMS PLAN 2 AND SECONDARY HOLD REQUESTED AT ABOUT 3:06 AM. BC6 IN COMMAND REPORTS ABOUT 30 VICTIMS ALL TALKING, ALL RESPONSIVE. TRAIN UNLOADED BY ABOUT 3:12 AM. APPROXIMATELY 30 VICTIMS ALL CODE GREEN ON BACKBOARDS. EMS: A59? A7 A40 A48 A46 A2 FC? AMBULANCE REQUESTED AT PEDESTRIAN CORRIDOR #4 BY THE HILTON. ALL PATIENTS TRIAGED BY 3:38 AM WITH AMBULANCES STACKED UP ON HOTEL DRIVE. BC7 ON ARRIVAL REPORTS A SMELL OF SMOKE IN THE AREA OF A 3-STORY ORDINARY. BC7 REQUESTS ALS AMBULANCE FOR A VICTIM AT THE FIRE SCENE AT ABOUT 4:15 PM. BC7 REPORTS A COUPLE OF COUCHES GOING ON THE FIRST FLOOR -- MAKING PROGRESS AT ABOUT 4:19 PM. THREE-STORY BRICK APARTMENT BUILDING. MAIN GOING TO THE ROOF. POLICE CALLED TO THE SCENE. TRUCK(S): T35 (SECTOR 1) TRK? REPORT OF A HOUSE FIRE AT 1526 50TH CT. POLICE ON THE SCENE REPORT SMOKE COMING FROM THE BUILDING AT 1528 50TH CT. 2.5-STORY BALLOON FRAME. HEAVY FIRE ON FIRST FLOOR, SECOND FLOOR, AND ATTIC. FIRE BUILDING IS ONE BLOCK FROM LOCATION OF APARTMENT FIRE THAT OCCURRED THE MORNING AFTER MAJOR FACTORY FIRE ON JANUARY 21 & 22, 2014. E4 REPORTS THEY RESPONDED TO AN AUTOMATIC ALARM IN A 20-STORY RESIDENTIAL HIGH-RISE WITH SMOKE COMING A SIDEWALK VAULT. BC5 REPORTS HEAVY SMOKE COMING FROM THE SIDEWALK VAULT. CHECKING THE BUILDINGS IN THE AREA. NUMEROUS ELEVATOR RESCUES. COM ED ETA ABOUT 10 MINUTES. POWER OUTAGE REPORTED FROM CHESTNUT TO NORTH AVENUE/BLVD AND FROM LAKE SHORE DRIVE TO WELLS. THREE ADDRESS CORRECTIONS: 100 TO 55 TO 57. TL10 CREW ON ARRIVAL REPORTS A THREE-STORY WITH A FIRE. BC1 REPORTS A THREE-STORY BRICK, 25X50, WITH A FIRE UP ON THE THIRD FLOOR AND ATTIC. BC1 REPORTS THE FIRE WENT FROM THE SECOND FLOOR TO THE THIRD FLOOR. COMPANIES GOING TO THE ROOF -- ALL COMPANIES WORKING. TWO LINES ON THE FIRE, MAIN TO THE ROOF, PRIMARIES UNDERWAY, LADDERS IN SECTOR 1 & 2. CRASH WITH INJURIES BEFORE THE DEVON TOLL PLAZA. ROSEMONT 167 REPORT A ONE VEHICLE CRASH WITH EXTRICATION. ONE PERSON INJURED. REPORT OF A 911 CALL WITH FIRE SHOWING THROUGH THE ROOF. BC2 ON ARRIVAL ORDERS A CODE 4 WORKING FIRE RESPONSE. PULLING CEILING, KNOCK ON THE FIRE INTERIOR AT ABOUT 11:09 AM. THEN REPORT OF A LOT OF FIRE IN THE ATTIC AT ABOUT 11:11 AM. LADDER TO THE "C" SIDE. INTERIOR CREW AT ABOUT 11:12 AM REPORTS A GAS LINE GOING IN THE ATTIC. EXTERIOR CREW SHUTTING DOWN GAS LINE. SECOND LINE GONG TO THE SECOND FLOOR. CHASING FIRE IN THE WALLS AT ABOUT 11:26 AM. CHANGE OF QUARTERS: MOUNT PROSPECT E12, ARLINGTON HEIGHTS A3, WOOD DALE ENGINE. FATAL HIT-AND-RUN ON THE STREET. VEHICLE FLED SCENE. VICTIM TRANSPORTED TO LEVEL I TRAUMA CENTER JOHN H. STROGER, JR. HOSPITAL OF COOK COUNTY WHERE THE VICTIM WAS PRONOUNCED DEAD AT 5:18 PM. VICTIM IDENTIFIED AS SHANE STOKOWSKI (Twitter.com/shane_stokowski). T19 WITH THE AMBULANCE TO STROGER ADVANCED LIFE SUPPORT. REPORT OF A FIRE WITH AN EXPLOSION. SINGLE FAMILY ONE-STORY FRAME. TENDER(S): GRAYSLAKE, ROUND LAKE, "SOMERS"
MABAS DIVISION 5 BOX ALARM ON BOX #5-342 FOR A STRUCTURE FIRE (HOUSE FIRE). HEAVY FIRE SHOWING FROM THE "C" SIDE. DEFENSIVE OPS WITH POSSIBLE PROPANE TANK EXPLOSION. E344 WITH A 2 1/2. TL381 BACKED DOWN BARBERRY, AND WAS FED BY E44. REPORT OF FLAMES COMING FROM THE BOTTOM OF THE TRAIN CREW ON ARRIVAL REPORTS HAD SMOKE SHOWING. QUICK KNOCK ON A FIRE UNDER THE SOLE LOCOMOTIVE. PASSENGER EVACUATED AND TRANSFERRED TO THE NEXT WESTBOUND TRAIN. Aftermath of Metra train locomotive fire. E107 CREW ON ARRIVAL REPORTS FROZEN OVER LAKE/LAGOON -- LOOKING AROUND. MALE BODY FOUND IN A DOUGLAS PARK POND AT ABOUT 11:10 AM. REPORTED AS A CRIME SCENE AT 11:17 AM -- ALL RESPONDING RESCUE COMPANIES HELD UP. CREW ON ARRIVAL REPORTS A LITTLE SMOKE SHOWING IN A THREE-STORY ORDINARY. E122 REPORTS SMOKE -- UH FIRE ON THE ROOF. MIXED COMMERCIAL/RESIDENTIAL WITH FIRE IN THE REAR. ALL SEARCHES ON ALL FLOORS NEGATIVE AT 7:56 AM. FIRE UNDER CONTROL AT 7:59. ALL COMPANIES WORKING. ALSO LISTED AS 8211 S COTTAGE GROVE. MULTIPLE CALLS FOR AN ATTACHED GARAGE ON FIRE. BC8 UPGRADES TO A CODE 4 ON THAT REPORT. E84 CREW ON ARRIVAL REPORTS SMOKE SHOWING FROM THE ATTACHED GARAGE OF A TWO-STORY HOUSE. FIRE KNOCKED AT ABOUT 10:19 PM WITH ONE LINE ON THE FIRE. FIREFIGHTERS CHECKING FOR EXTENSION INTO THE HOUSE AND ATTIC SPACE. FIRE DAMAGE LIMITED TO GARAGE AND THREE CARS PARKED IN THE GARAGE. NO EXTENSION FOUND. WORKING ON VENTILATION TO CLEAR SMOKE AT ABOUT 10:34 PM. E107 CREW ON ARRIVAL REPORTS REPORTS A FEW SMALL FIRES BURNING IN AN ABANDONED BUILDING (APARTMENT HOUSE -- 2-FLAT). BC14 REPORTS A COUPLE OF SMALL RUBBISH FIRE ON THE FIRST FLOOR -- HOLDING THE SQUAD AND VAN. FIRE OUT AT 7:23 AM. SEARCHES NEGATIVE. BUILDING OPEN AND DANGEROUS. 3 LINES ON THE FIRE WITH AN AERIAL PIPE TO THE ROOF AT 8:44 PM. EXTRA AMBULANCE TO THE SCENE AT STAGING REQUESTED AT 8:48 PM. ELEVATOR REPAIRMAN SERIOUSLY INJURED BY FALLING ELEVATOR AT RIVER NORTH PARK APARTMENT BUILDING. INJURIES WERE REPORTED TO BE SERIOUS, BUT NON-LIFE-THREATENING. INITIAL FIRE RESPONSE JUST BEFORE 10:00 AM -- BASEMENT FIRE. MABAS DIVISION 4 BOX ALARM ON BOX #31-20 FOR A STRUCTURE FIRE (APARTMENT FIRE) AT 10:33 AM. SPECIAL: MESS CANTEEN AND MUNDELEIN? STAGING: CHANGED TO GREENLEAF DR AND DIRKSEN DR ... CHANGED FROM GREENLEAF DR EAST OF BUTTERFIELD RD. REPORT OF SMOKE AND FIRE IN A THREE-STORY APARTMENT BUILDING. ONE VICTIM REMOVED FROM SECOND-FLOOR APARTMENT UNIT AND TRANSPORTED TO EDWARD HOSPITAL WITH ADVANCED LIFE SUPPORT/CPR. VICTIM PRONOUNCED DEAD AT EDWARD HOSPITAL. FIRE KNOCKED IN 10 MINUTES. MABAS DIVISION 16 EMS BOX ALARM ON BOX #1M FOR A STRUCTURE FIRE AT 12:09 AM. DUPAGE COUNTY FIRE INVESTIGATION TASK FORCE, ILLINOIS OFFICE OF THE STATE FIRE MARSHAL, AND NAPERVILLE EMA ON SCENE. ENG ON ARRIVAL REPORTS BC14 IN COMMAND REPORTS 2-INCH LINE MEDIUM PRESSURE LINE. SQUAD(S): SQD2 HELD UP. SQD1 ON IT AFTER BEING HELD ON FROM PIN-IN RESPONSE MICHIGAN AND CERMAK. LEVEL 1 HAZMAT SECURED AT 10:45 AM ON ORDERS OF BC14. E91 ON ARRIVAL REPORTS 6-INCH LINE HIT WITH A GAS LEAK, REQUESTS A LEVEL I HAZMAT. GAS COMPANY IS ALREADY ON THE SCENE. POLICE TALKING TO VICTIM. JUMP BAG ON THE WAY. VICTIM RESCUED SAFELY OFF OF THE LEDGE, TRANSPORTED A41 CODE GREEN. CREW ON ARRIVAL REPORTS 7-STORY 75X150 FOR A LOT OF SMOKE IN THE NURSING HOME. FIRE IS OUT AT ABOUT 9:32 AM -- WORKING ON VENTILATING HEAVY SMOKE IN THE BUILDING. STRUCK OUT AT 9:44:16 AM ON ORDERS OF 2-2-6. CREW ON ARRIVAL REPORTS A CAR INTO A PORCH WITH ONE PERSON TRAPPED. SENIOR CITIZEN BACKED INTO A PORCH. CREWS ARE GETTING HER OUT AT ABOUT 10:57 AM. SQ5 5 AND 5-1-5 HELD UP. REPORT OF A KITCHEN ON FIRE. CREW ON ARRIVAL REPORTS HEAVY, BLACK SMOKE SHOWING AT 7:53 AM.. TWO TOWNHOUSES SIDE-BY-SIDE 40X75, FIRE ON THE SECOND FLOOR BELIEVED TO BE KNOCKED BY ABOUT 8:03 AM. TWO LINES ON THE FIRE, GROUND LADDERS UP, SECONDARY SEARCH UNDERWAY 8:07 AM. E19 CREW ON THE SCENE REPORTS A 20-STORY HIGH-RISE WITH NOTHING SHOWING. EMS PLAN 1 AND THEN A STILL AND BOX ORDERED AT ABOUT 4:08 AM. BC2 IN COMMAND SMOKE POURING UP BOTH STAIRWELLS. THE FIRE IS OUT, BUT STILL HAVE A PROBLEM WITH SMOKE CONDITIONS AT 4:12 AM. SMOKE REPORTED ON ALL FLOORS, BUT THE FIRE IS OUT. "INCINERATOR FIRE." FIREFIGHTERS VENTILATING. WARMING BUS AT 35TH AND RHODES AVE. CREW ON ARRIVAL STAGES FOR POLICE WHILE POLICE SEARCH FOR VICTIMS, AND REQUESTS SQD85 AND BC8. POLICE WITH BALLISTIC SHIELDS WHILE PARAMEDICS STAGING AND PROTECTED FOR PATIENT CONTACT AND TRANSPORT. REPORT OF A SECOND VICTIM ABOUT 12:32 AM. A81 DISPATCHED AS SECOND AMBULANCE. A THIRD AMBULANCE (A83) WAS DISPATCHED AT 12:39 AM. A81 AND A82 EACH TRANSPORTED ONE VICTIM EACH. E39 CREW ON ARRIVAL REPORTS SMOKE SHOWING FROM THE ATTIC OF A 1.5-STORY ORDINARY CONSTRUCTION. BC15 REPORTS FIRE IN THE ATTIC LINE BEING LED OUT, ROOF BEING OPENED, AND PRIMARY SEARCH UNDERWAY AT 8:04 AM. PRIMARY COMPLETE AND NEGATIVE AT 8:07 AM. FIRE UNDER CONTROL 25X65 AT 8:09 AM. EMS: AMB? FC457 STANDBY AMB? MABAS DIVISION 4 BOX ALARM ON BOX #41-40 FOR A SEMI ON ITS SIDE ON ORDERS OF BC41. A CON-WAY FREIGHT TRUCK WITH TANDEM TRAILERS WAS HAULING TWO 300-GALLON CONTAINERS OF POTASSIUM HYDROXIDE AND TWO 300-GALLON CONTAINERS OF PHOSPHORIC ACID. THE SECOND TANDEM TRAILER TIPPED ON ITS SIDE, AND AN UNKNOWN NUMBER OF CONTAINERS LEAKED. D.O.T. Placard 3266 Corrosive Liquid, Basic, Inorganic n.o.s. Corrosive, Class 8. D.O.T. Placard, 1760 Corrosive Liquids, Compounds, Cleaning Liquid n.o.s. E16 CREW ON ARRIVAL REPORTS A ONE-STORY FACTORY WITH NOTHING SHOWING. BC2 REPORTS A 300X300 ONE-STORY INDUSTRIAL BUILDING WITH A COUPLE OF SPRINKLER HEADS OFF OVER A GRAPHITE FURNACE. T18 HAS A LADDER TO THE ROOF. BC2 REPORTS AT 11:02 PM AFTER SHUTTING DOWN SPRINKLER SYSTEM. BC2 AT 11:09 PM REQUESTS A WORKING FIRE RESPONSE LEADING OUT WITH A 2 1/2-INCH LINE FOR SOME SPOTS THEY CAN'T SEE BECAUSE OF LIGHT SMOKE. HOSING DOWN THE ROOF AREA. WASHING DOWN FOR AT LEAST 30 MINUTES AT 11:18 PM. T15, SQD 5 HELD UP. MOTORCYCLIST, MALE AGE 47, PRONOUNCED DEAD AT THE SCENE IN SUV - MOTORCYCLE CRASH. EARLY INVESTIGATION: MOTORCYCLE WAS NORTHBOUND ON RIDGE RD FOLLOWING A CHEVROLET BLAZER. A FEMALE DRIVER, AGE 17, MADE A LEFT TURN ONTO HOLT RD, WHEN THE MOTORCYCLIST HIT THE DRIVERS SIDE OF THE BLAZER. LIFESTAR HELICOPTER AT LANDING ZONE. SEMI-TRAILER TRUCK STUCK UNDER THE OVERPASS BRIDGE FOR THE KENNEDY EXPRESSWAY.